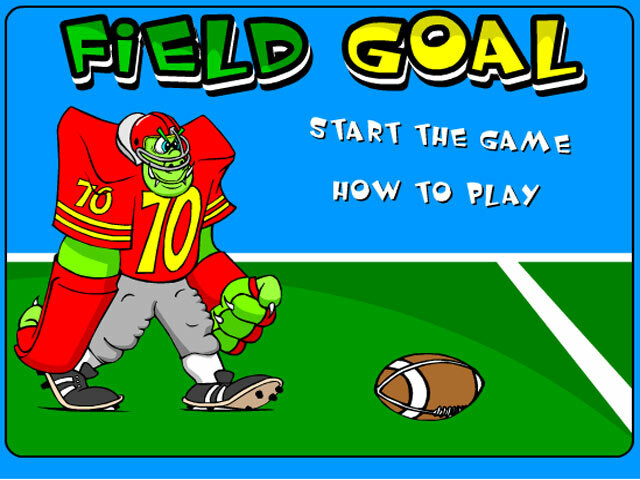 Kick as many Field Goals as you can in this Action/Arcade game! 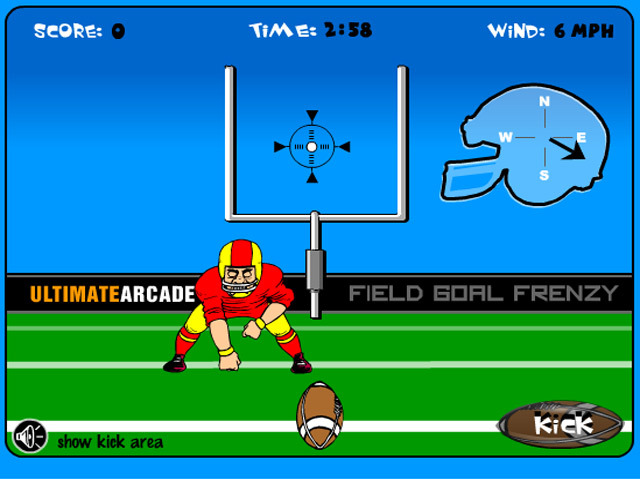 Take note of the wind and kick the football through the uprights!Kick as many Field Goals as you can!Kick as many Field Goals as you can in this Action/Arcade game! 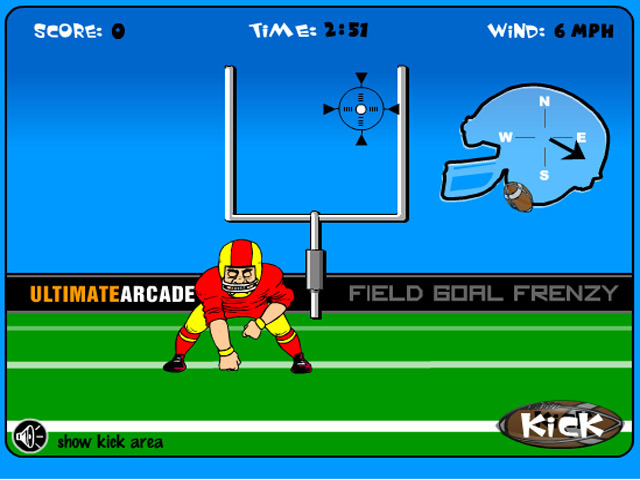 Take note of the wind and kick the football through the uprights! 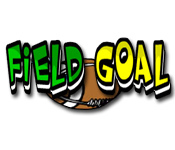 How many points can you score in three minutes?